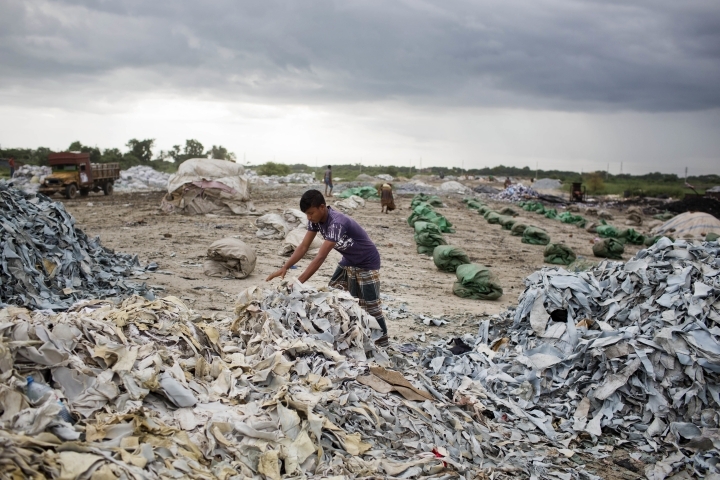 SAVAR, Bangladesh — Bangladesh tanneries prepping leather for shoes, belts, wallets and purses are dumping toxic chemicals into a river at a new industrial complex more than a year after the government shut them down for poisoning a different river and using child labor. "It's killing the river. The color of the water has changed," Abdus Shakur, a local resident who works as a day laborer, told The Associated Press last week. "I have been living here for decades and the condition of the river has changed dramatically over the last year." 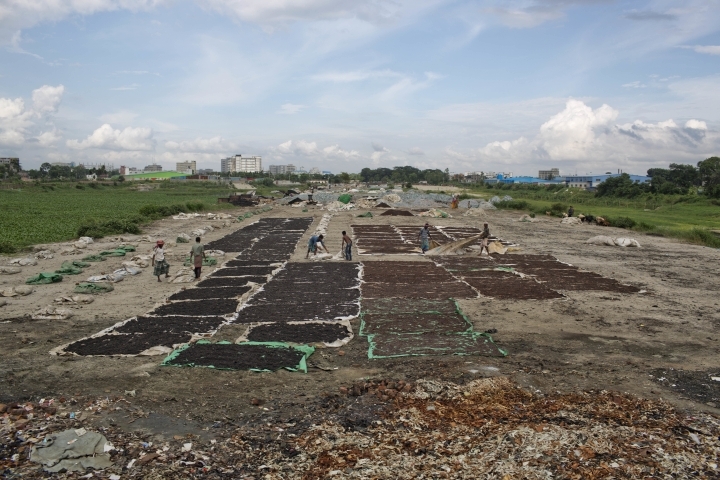 Turning cow hides into soft, hair-free leather can be a dirty business, and in the Hazaribagh neighborhood of Dhaka, the former home to more than 150 tanneries, the air a year ago was so noxious with chemicals and rotting hide trimmings that it was repeatedly named one of the most polluted places on earth by environmentalists. The adjacent Buriganga River, a source of drinking water for 180,000 people, was considered poisoned. 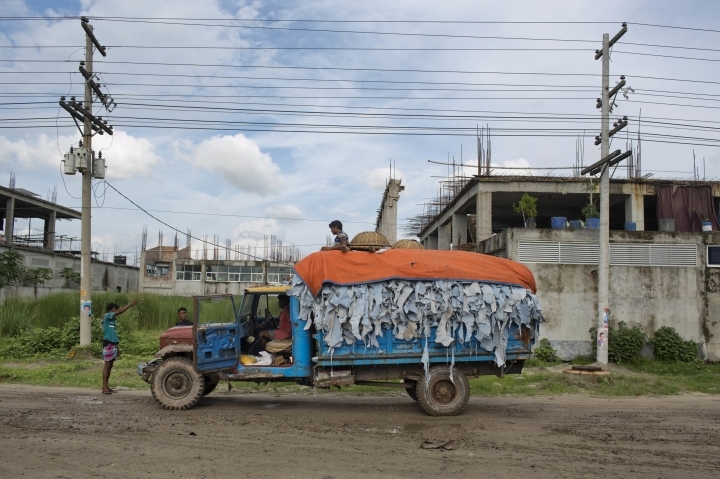 In April 2017, under international pressure, the government shut off power at the Hazaribagh tanneries, ordering them to move to a new tannery industrial complex in Savar. Now the AP has learned that factories at the new location are draining chemicals into the Daleshwari River and dumping toxic waste in open fields. Although there are sewage treatment and effluent systems, they are inadequate to process all of the waste. "This was a disaster foretold," said Richard Pearshouse, associate director of the environment program at Human Rights Watch. "Everyone convinced themselves that the main issue was technical — a lack of a central effluent treatment plant — and not political. But Bangladesh's tanning industry will be plagued by its fundamental problems — child labor, occupational and environmental health dangers — until government authorities finally get serious about enforcing laws." 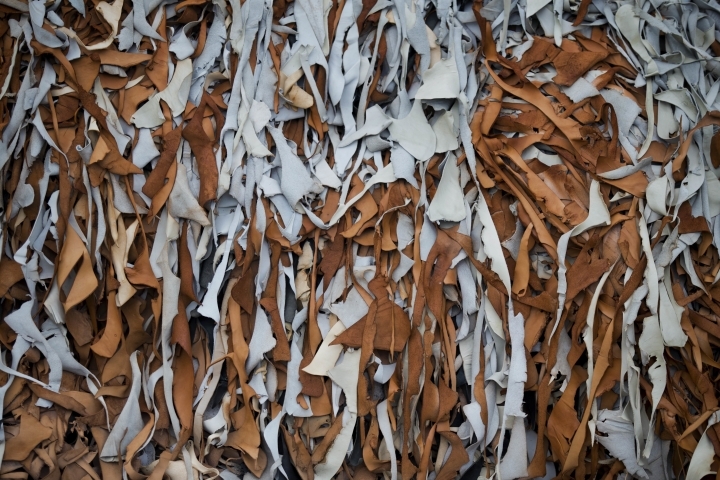 New York-based Transparentem, a labor rights nonprofit group, is calling on American and European companies that sourced leather in Hazaribagh — or had items made by companies that also owned tanneries there — to help clean up the mess left behind. The companies include Clarks, Coach, Kate Spade, Macy's, Michael Kors, Sears, Steven Madden and Timberland. It is also calling on Germany-based Deichmann, a shoe and sportswear chain, and two U.S. firms — Harbor Footwear Group and Genesco — that design and market shoes in even more brands to help. "The primary onus is on Bangladesh's government and leather industry to clean up Hazaribagh and prevent another full-scale environmental catastrophe in Savar," said Transparentem president E Benjamin Skinner. "Brands that have bought from manufacturers affiliated with tanneries in either location have leverage, and thus share in the responsibility for reform." Undercover investigators have not followed a specific piece of leather to a particular purse or shoe. Supply chains take a few steps, sometimes dozens, to get from the source of a product to an item on a store shelf. Transparentem is also calling on buyers to use their collective leverage to advocate for better waste treatment facilities in Savar. All of the companies that responded said they no longer get any leather from tanneries in Bangladesh. Some said they never did. Macy's, Timberland and Clark continue to have products made there. "Clarks has no direct or indirect relationship with any tannery in Bangladesh," the company said in a statement. 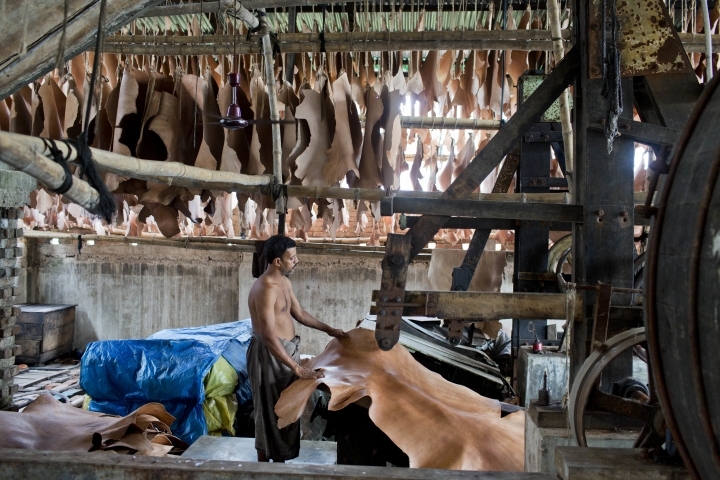 Its Bangladesh manufacturer sources all of its leather from outside the country, and the company continuously audits all of its partners, the statement said. 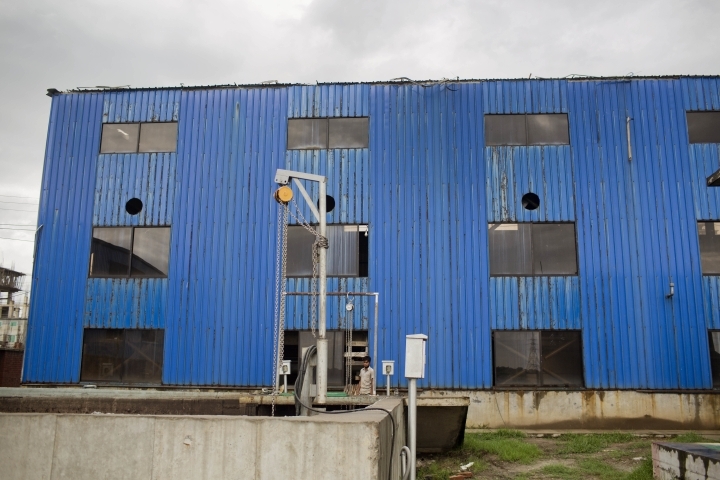 At the new Savar industrial center, an AP reporter found that a central effluent treatment plant had yet to be fully functional, contradicting claims from authorities that it's been reinforced. Chinese engineers working on the plant refused to talk. In addition to delayed operations at the effluent treatment plant, a new problem has started: repeated breaches in the embankment of a pond where solid waste is supposed to be held. This is allowing more pollution — mixed with rainwater — to flow into the river. "This is worrying. The embankment has been repaired repeatedly, but because of the monsoon, the breaches developed again," said Delowar Hossain, a plant consultant. Abu Naser Khan, chairman of Save the Environment Movement, said last week that the new site has multiple infrastructural deficiencies, causing serious pollution in the area. "It's killing the river, it's poisoning soil and it's destroying the whole environment," Khan said. "Dangerous chemicals are still flowing into the river." It's clear, he said, that relocating the toxic leather tanning factories from intensely polluted Hazaribagh has just moved the environmental disaster to another place. "It seems the government does not care for the environment. Similar things are happening here," Khan said. "It's really frustrating that authorities are failing to understand the serious environmental consequences from pollution, which could be averted." Khan said their complaints "are falling into deaf ears." Bangladeshi leather-goods manufacturers were reluctant to comment. An official at a leading exporting factory said Friday that the company shouldn't suffer for the failure of the authorities. "We have lodged complaints again and again, but still the effluent treatment plant is not fully functional and the pace of development inside the tannery belt is very slow," said the official, who spoke on condition of anonymity, fearing retribution. "The government has shouldered all responsibilities for preparing all infrastructures of the new site," he said. "We have nothing to contribute here." Mendoza reported from San Francisco, California.